It was nearly a month ago that fire drove about 160 residents from their homes at the Arthur Capper Senior Apartments near the Navy Yard, and the displaced seniors are yearning to know where they'll have new places to call home. WASHINGTON — It was nearly a month ago that fire drove about 160 residents from their homes at the Arthur Capper Senior Apartments near the Navy Yard. Displaced seniors are living in temporary housing, including hotels and are hoping they’ll soon have new places to call home. “We just want to know where we’re going from here. It’s been a month. 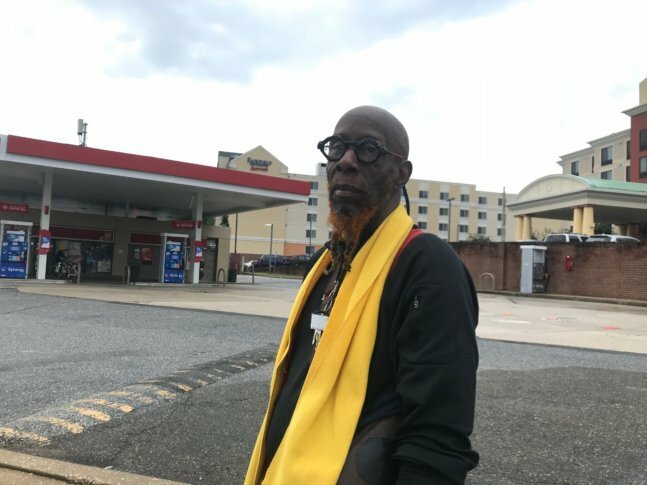 There are so many places in this city that a senior can be, put us in there please,” said Carolyn Rogers, who escaped the fire from her second floor apartment and temporarily lives at a hotel on New York Avenue NE. The Sept.19 fire raced through the top two floors of the four-story building in the 900 block of 5th Street SE and partially collapsed the roof. Lower floor apartments escaped fire damage but the building remains off limits, and some residents wonder if they’ll every be allowed inside to collect their belongings. “They’re not giving us any answers that they’re going to salvage anything,” said Carlton Moxley, who is yearning to recover his musical instruments from his second floor apartment. “I have at least nine electric keyboards for recording different music. I have two drum sets, three guitars and several vintage amplifiers,” Moxley said. The burned building is privately owned and operated and provides housing for low income seniors under Section 8 of the federal housing program. The building’s owner, Bethesda-based Urban-Atlantic says the structure has not been condemned but it’s not yet accessible. Engineers continue working to make it safe from collapse. Teams are continuing to assess the damage and explore how best the building can be rebuilt. “They have gone into those units that are accessible and taken out some things,” said Julie Chase, a spokeswoman for Urban-Atlantic. Chase says the goal is to remove everything that can be safely salvaged. Water-damaged bedding or fabric-covered furniture would not be retrieved but there’s potential for hard-surfaced items like Moxley’s musical instruments might be eventually retrieved. “Residents can fill out forms listing items they want workers to recover,” Chase said, but it’s unclear when items can be removed from apartments like Moxley’s that are currently listed as inaccessible. Chase says the private development team is assisting the city in locating Section 8 apartments that can accommodate seniors, some of whom require handicap access. Some units have been found but it’s uncertain when all the displaced residents can move into semi-permanent housing. The development team says the goal is to rebuild and restore the four-story building.